Fall, a 2017 smash hit from Nigeria singer Davido has now become the longest charting song by any Nigerian on the Billboard chart. 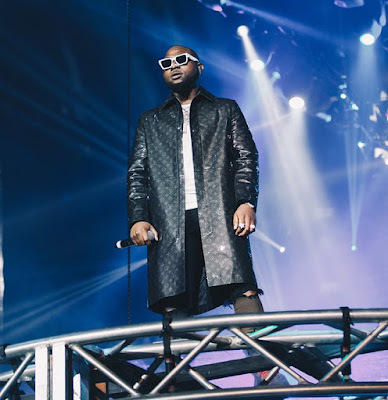 Two years following its release, Davido's 'Fall' continues to set records especially on the global charts. The single which last year was recognized as the most Shamazed Non-American song in the US has hit a new heights on the Billboard. 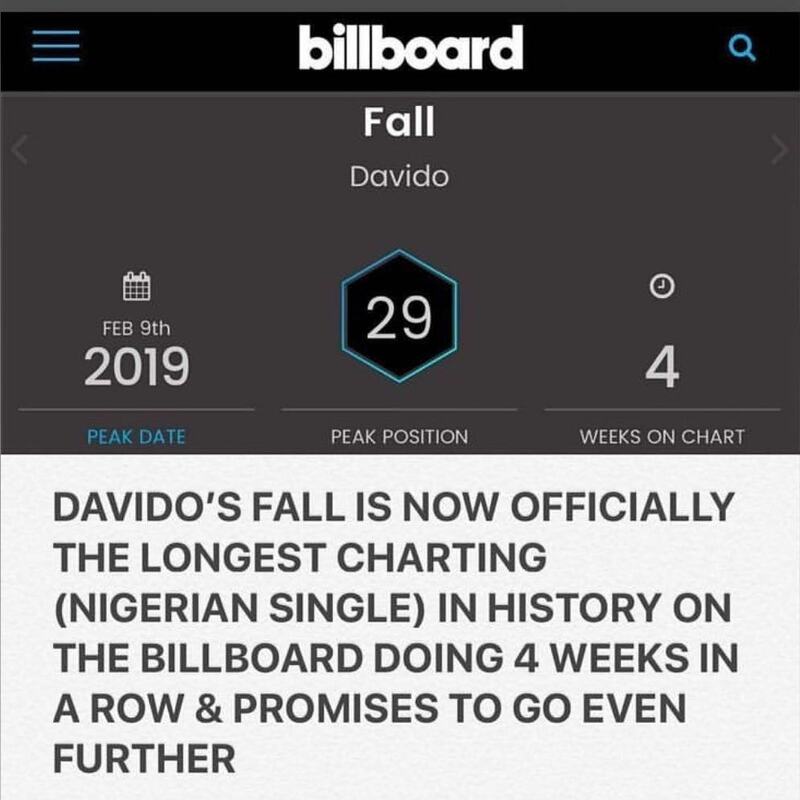 On Tuesday, February 5, 2019, 'Fall' climbed to the 29th position in the global charts board after four consecutive weeks becoming the first ever Nigerian single to achieve such a feat. 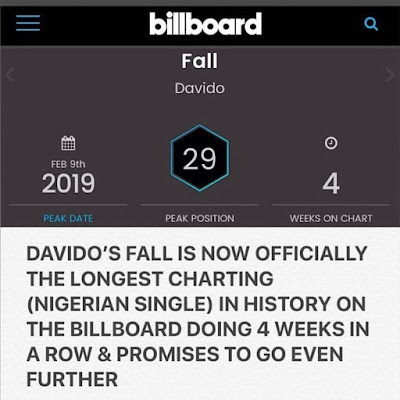 'Fall' moved from the 39th position in its previous week to occupy the 29th spot, the highest place ever for a Nigerian song on the Billboard Top 100 R&B/Hip-Hop charts week ending February 9, 2019.